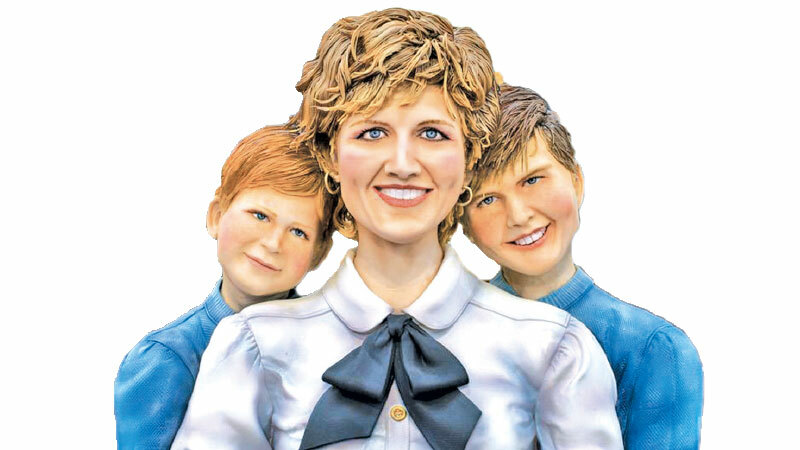 A baker took a big whisk making these cakes of Princess Diana, William and Harry… But Lara Mason pulled it off as she captures the smiles of the beloved royal and her young sons. A life-size sponge of the Duke and Duchess of Sussex and another of The Queen wearing a pink suit were also on display. The amazing creations are the work of Lara Mason from Brownhills, West Mids, who spent more than 250 hours baking them. 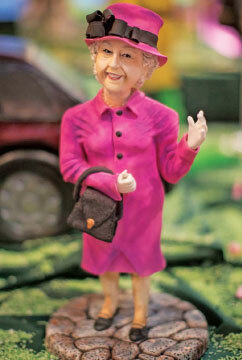 They were on display at Cake International at Birmingham’s National Exhibition Centre. The Harry and Meghan cake, which was made from 300 eggs and 50kg of fondant icing and could feed up to 1,000 people, was covered with chocolate ganâche: everything is edible apart from the frames. Lara said she was inspired to create the sugary depiction of the royal couple ahead of this year’s Royal Wedding. The cake, which is six-and-a-half feet tall, isn’t Lara’s first cake with a royal twist though. And with the impending birth of Harry and Meghan’s baby, Lara says there’s no decision needed on what cake she’ll be making next.